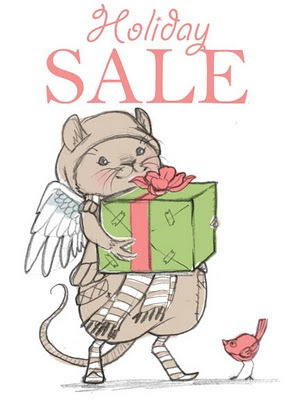 Blog of Sara (Butcher) Burrier :: Sara B Illustration: SALE of JOY! 25% off entire Etsy shop! The biggest sale in my shop's history, and I'm looking forward to serving all of you this holiday season! Fairies, mermaids, angels, and cute mice! Fairytale ladies, stickers, and ornaments! Art prints, postcard sets, and originals! All sitting and waiting for the perfect owner. Have a safe and joy filled holiday weekend!